The CS AutoPivot makes a stunning feature entrance way. 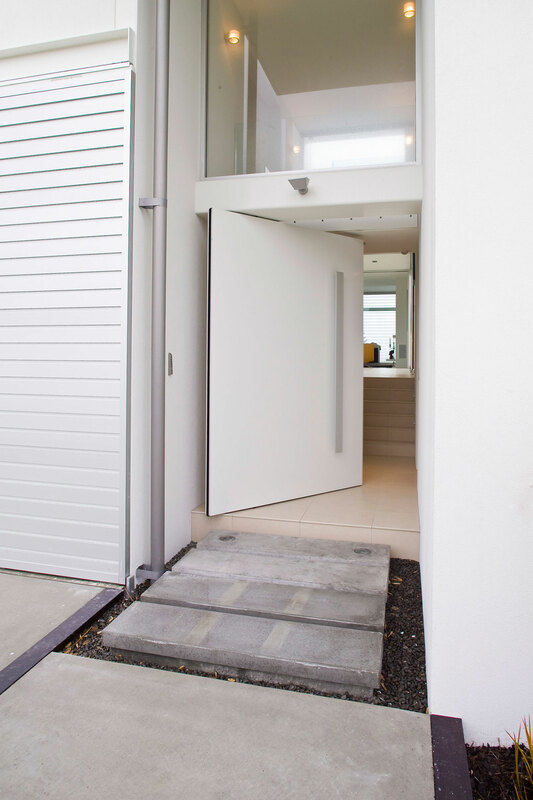 The innovative design allows for oversized automated pivot doors. It has been engineered as a complete pivot door system designed to provide you with the ultimate in door luxury. Minimal door clearance and a simple adjustment method enable you to create a smooth, clean finish. High quality components have been designed for all parts of the system, ensuring reduced servicing intervals and product longevity. The system is extremely flexible with a multitude of control settings and functions available. It is supplied as a complete system with the top and bottom pivot gear pre-fitted to the door and the motor and gearbox installed within the supplied lintel. - Door moved to a “service position” allows for the motor to be removed from the lintel without the door being removed. The door can be used manually while motor is serviced.